Over 570 islands dot this territory, of these less than 40 islands are inhabited. 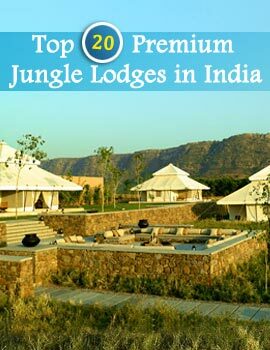 This pristine holiday destination is the favorite of many holidaymakers and boasts of a rich flora and fauna. 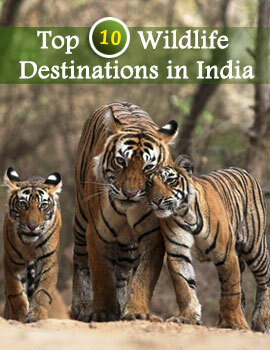 Among the many places to visit in the Andaman and Nicobar Islands is the Wandur National Park. This unique national park is spread over 12 islands of the gorgeous island city of Andaman and Nicobar. The Wandur National Park attracts many tourists to its golden shores each year. Acknowledged for its wealth of marine species, the Wandur National. Park is sea lover's paradise. Its dense forests and mangroves also provide a favorable habitat for a number of mammal, bird and marine species. While exploring the Wandur National Park, it is advisable to visit two of the most important islands of the park. These islands are Redskin Island and Jollybuoy Island. In the Redskin Island, one can observe deer brought to the island by the British. Numerous caves along the northern cliffs cover an expansive area in Redskin. Across the channel is Tarmugli, which has a wide coral reef on the southwestern side and an idyllic diving cove at the farthest end of the reef. Jollybuoy Island on the other hand is most visited for its marine and bird species. Encircled by a reef, the biggest attraction of this island is a sandy beach on its northern end. Another prime attraction of the Wandur National Park in Andaman and Nicobar Islands is the giant clam that can grow up to 3 feet. Coral reef of a large variety can also be enjoyed here. Other animal friends found in abundance in this national park in south India are Leatherback, Hawksbill, Olive Ridley and Green Turtles, Estuarine Crocodiles, Coconut Crab, Roseate Tern, and Black-naped Tern, Sooty Tern, Starfish, Cowries, Turbots and Spider Conch, to name a few. The park is well maintained and has a number of sightseeing and accommodation options close to it.